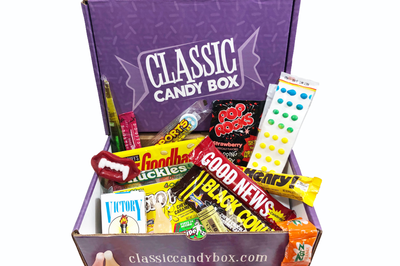 Enter your email address below to receive a notification when Classic Candy Box starts accepting new sign-ups! 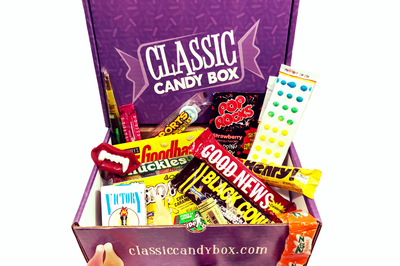 Enter your email address below to receive a notification when Classic Candy Box is accepting new sign-ups again. Classic Candy Box is a monthly subscription box. 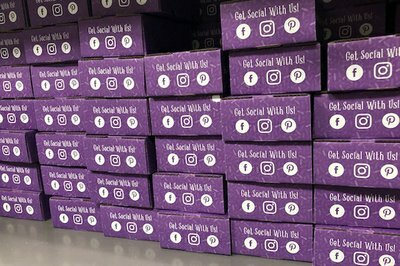 We ship our boxes once a month. Our shipping cut off date is the last day of each month, orders received after the last day of the month, your box will ship the next month. 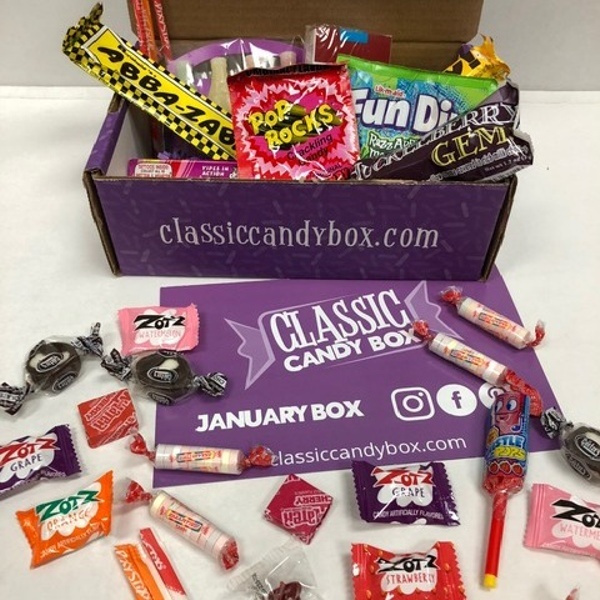 Classic Candy Boxes are shipped by the 9th of every month. 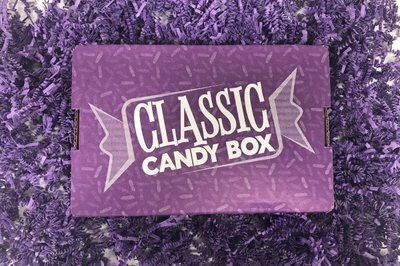 You’ll feel like a kid in the candy store when you open your first Classic Candy Box! 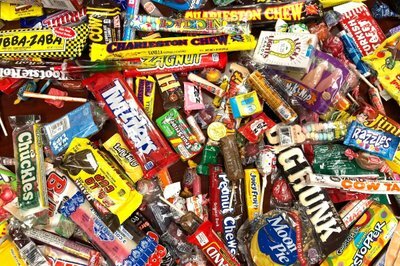 We have a huge variety of all the classic candy you loved as a kid. 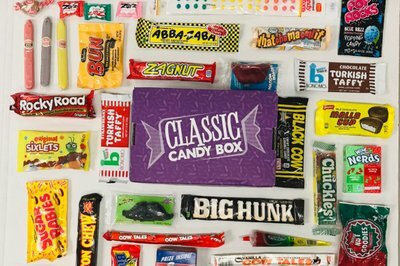 Each month you can expect to receive full-sized, hard to find classic candies throughout the decades. Enjoy different candies each month from the early 1900's to 1980's! Great for corporate gifts. Each month you will receive 1 lb - 1.5 lb of candy (at least 25 pieces) varying in chocolates, hard candies, chewy candies and anything in between. Cheaper than in store retail prices and delivered to your doorstep! New Classic Candy Favorites EVERY Month! Makes a great corporate gift! I just received the February box and it was amazing. I love all the candy. This box was a super hit for me and my subscribers this box is everything i ever imagined the care and consideration right down to the packaging was above and beyond ... the items were top quality, and for the first time in any subscription box i can use every single item in the box which is amazing , if you are contemplating getting this box don't contemplate any longer this box is a must have in your home .... get it right now dont wait !!!! Classic Candy surpassed my most highest expectations! 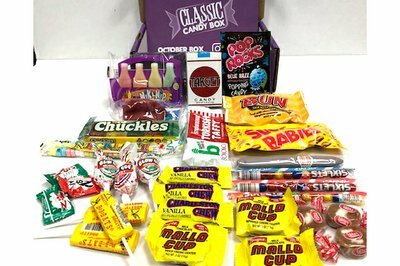 I was so pleasantly surprised when I received my box of nostalgic candy! This was such a blast from the past--they just don't make candy like this anymore! Thank you Classic Candy Box. I know what my friends will be getting as gifts from now on!! Classic Candy Box you did a fantastic job of putting together the monthly classic candy box for October! As soon as I opened it, I was immediately reminded of my childhood favorites! I love the leaflet included outlining the history behind each type of candy placed inside of that particular box! It really takes this candy box to another level! I will definitely order more throughout the upcoming year! I was so surprised to get classic candy box as a thank you gift! Sharing it with my grandchildren was fun to because they hadn't seen some of this candy and they enjoyed it as much as I did! 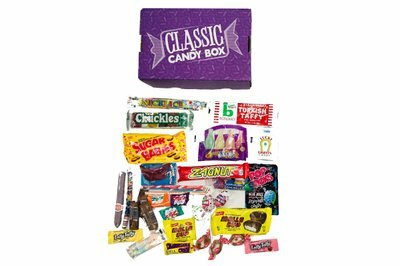 I'm going to give classic candy box as a gift to my sister and others this Christmas! Very reasonably priced! My husband has a sweet tooth, so my kids and I thought this would be a fun way to celebrate his birthday. 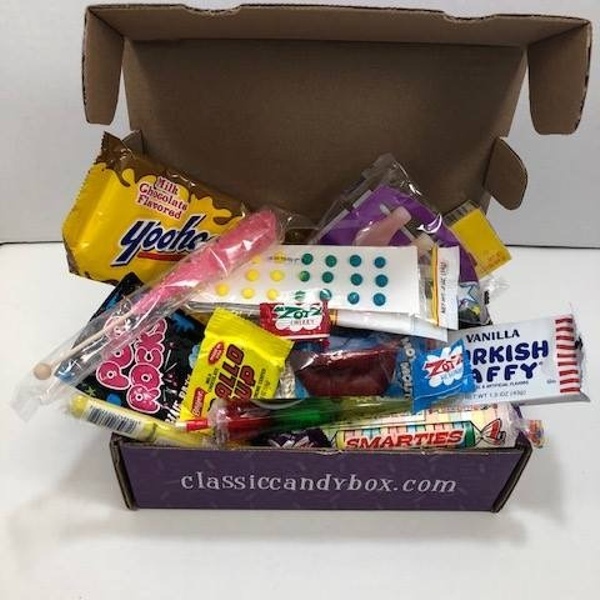 I ordered a box from Classic Candy for his birthday. I was not disappointed. Once he opened his gift, the look on his face was priceless. We had so much fun as a family tasting all the candies that my husband grew up with and sharing memories that they stirred. My whole family is looking forward to what next month's box will contain. From now on, I will be subscribing to Classic Candy. Fun to Share with Family! 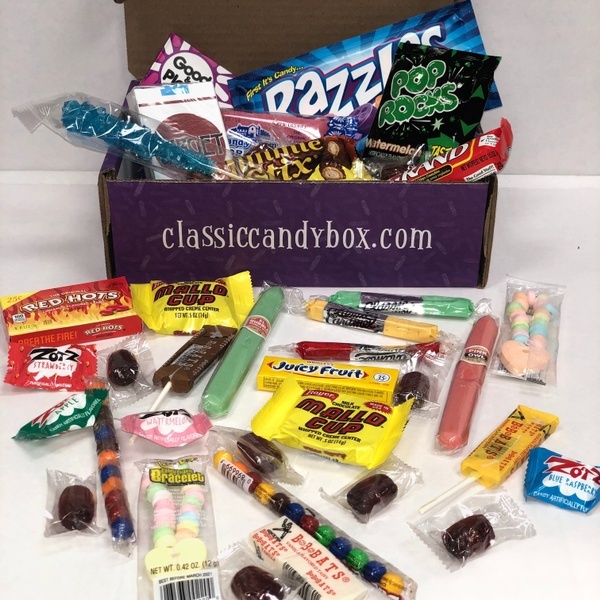 I was so excited to receive a box from Classic Candy! It was fun to share with my parents and hear so many stories about the candies from their childhood. I can't wait to see what's in my next box! Opening this box was quite the surprise! I had never heard of half these candies before. I was hesitant at first to subscribe but I am so happy I did. Classic Candy Box gives you full sized candy bars, unlike other candy subscriptions I've subscribed to in the past. Very reasonably priced for how much candy you get. There was also about 30 pieces of candy! Can't wait to see what my next box will contain. All my favorite candies as a kid! 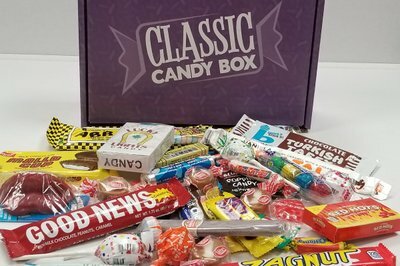 I received a box from Classic Candy and wow was I amazed! There were so many candies from my childhood, some that I even forgot about! My kids loved hearing about them and trying something new! I will for sure be a loyal subscriber! Awesome!